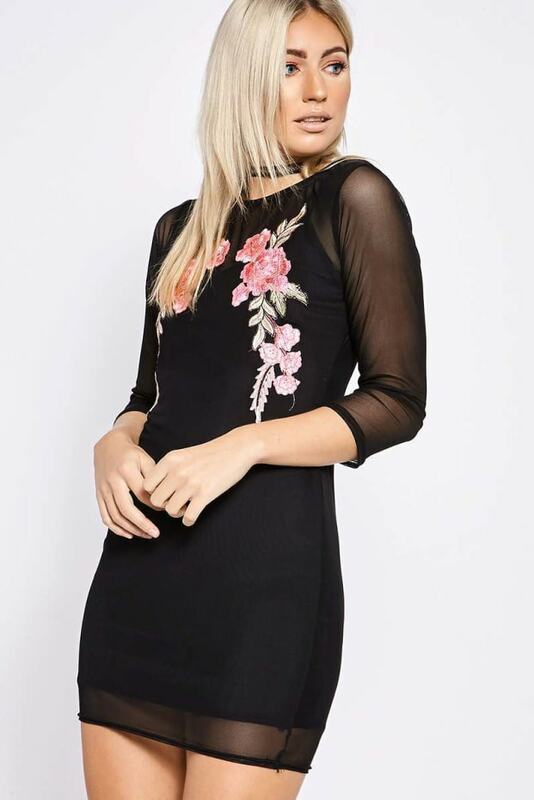 Add a touch of floral to your style with this mesh mini dress. 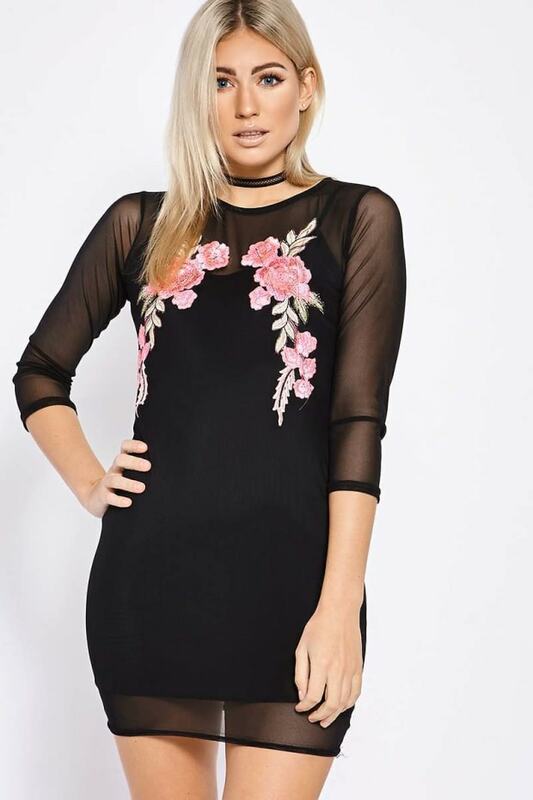 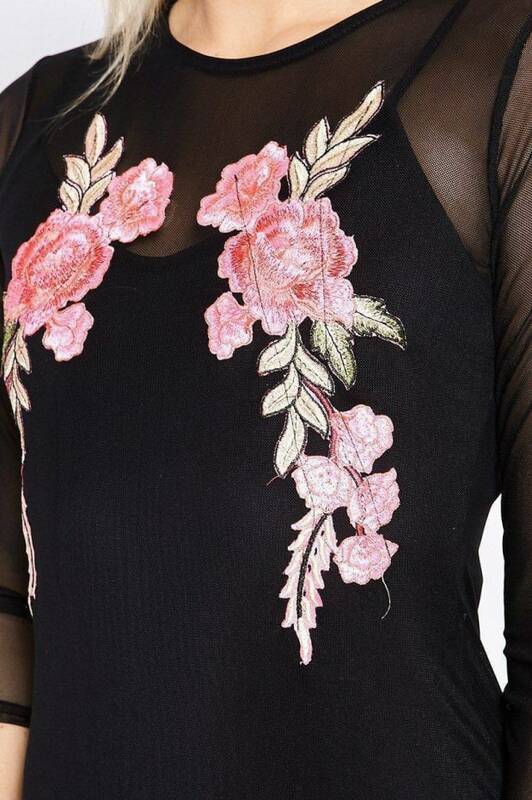 Featuring statement floral embroidery and mesh detailing, this dress is a wardrobe must! 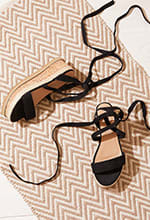 Style with killer heels for the complete party look.